After years of the same makeup, hair and skin routine, you forget one of the most important parts of women beauty: just how much fun it is! Unlike men, we have the ability to change our appearance with an eyeshadow or accessory. Take advantage of the endless possibilities and re-learn the fun of experimentation. 1. Start with a change in lipstick shade. Or overlay an old favorite with a daring new shade to create a color you can live with. Go to the drug store and try out some new, fun colors. It’s the quickest way to add spice to your look. 2. Have your eyebrows professionally shaped. 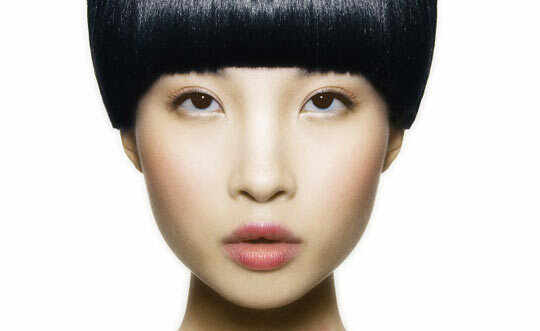 Though most Asians are blessed with tame eyebrows, you’ll be surprised how shaped eyebrows can open up your face. 3. Change your hairstyle. Get layered, get bangs, try something you’ve never had the courage to do but always secretly wanted. 4. Re-part your hair. Part your hair drastically to one side and you’ll go from plain to sophisticate in one sweep. 5. Layer a light, fun shade over your usual eyeshadow routine. Try lightly sweeping a soft purple, pink, even green over your lids and experiment with the effects.